Blowout Sale! Free Shipping Included! 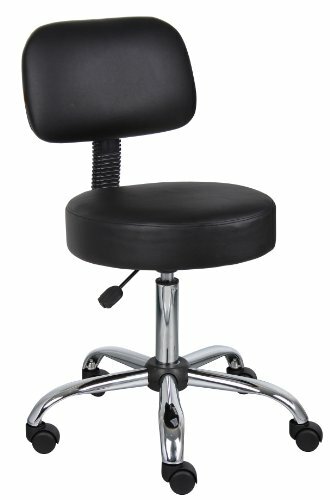 Save 54% on the Boss Office Products B245-BK Be Well Medical Spa Stool with Back in Black by Boss Office Products at My Natures Treasures. MPN: B245-BK. Hurry! Limited time offer. Offer valid only while supplies last. Fashioned with dual wheel casters, the Boss Black Caressoft Medical Stool With Back Cushion easily moves from one area of the room to the other.